Dr Berlinda Yeoh - Paediatrician Dr Geoff Crawford - Paediatrician Dr Natasha Fernandez - Paediatrician Dr Pooja Kashyap - Paediatrician The Child Development Clinic is a Developmental Paediatric clinic in Sydney CBD that specialises in assessing and managing ADHD, specific learning disorders, intellectual disabilities, Autism Spectrum Disorders, behaviour and conduct disorders, anxiety, mood disorders and emotional concerns. Our goal is to support families help their children reach their potential and be the best version of themselves! We provide comprehensive assessments of learning, concentration and behaviour for your child - identifying any areas of strength or difficulty. We perform cognitive and learning assessments, qEEGs (brain mapping), computerised medication testing and psychological individual and group intervention. We offer regular ongoing individualised management and therapy. Our experienced team includes specialist Developmental Paediatricians and Psychologists who work together to best support both the child and the family. 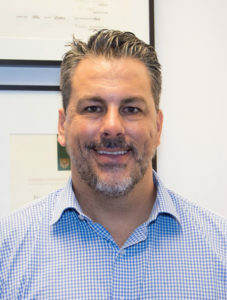 Dr Egbers is an experienced Specialist Paediatrician at Elanora Medical Practice. Dr Egbers’s approach to Paediatric care is holistic, warm and caring. When she isn’t helping newborns, children, teens and their families, you’ll find her spending time with her husband and two children, relaxing in a yoga pose or out in the ocean surfing waves. Dr Geoff Kewley is a Consultant Paediatrician that has been very involved in the ADHD world for many years. He worked in Gosford till 1990 as a General Paediatrician and was increasingly very involved with ADHD at that stage. He then went to the UK in 1990 and was at the forefront of increasing ADHD awareness there, in a society that at that stage was very stuck in a groove psycho socially. He started off working for the NHS and then ran a very busy nationally recognised ADHD unit there in the independent sector for 23 years until 2013. In 2013 he returned to Australia and is now working part-time in Castle Hill. Dr Kewley has a particular interest in gifted children with ADHD and related conditions and in the youth justice system and the high numbers of children with ADHD that end up in it. Dr Kewley founded and chaired the UK professional group within the Royal College of Paediatrics and Child Health for ADHD, the George Still Forum and co-founded the UK parent support group ADDISS. 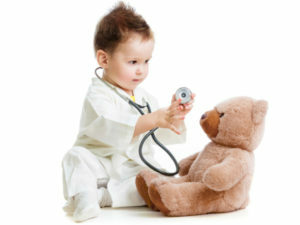 Dr Selikowitz is an experienced developmental paediatrician at The Children's Clinic. The Children's Clinic is a child health clinic made up of paediatric specialists and allied health professionals in a number of key fields all under one roof. At The Children’s Clinic you know that you are getting the best available care from the doctor or health professional you choose, in an environment which makes the experience as pleasant as possible for you and your family. We understand that children have unique needs which change with age. We care for children and young adults in an environment which is the ‘art, science and soul’ of paediatrics in a setting where children look forward to returning. We are a team of well respected paediatric health professionals specialising in caring for the health of children. All our doctors and allied health professionals have been trained at world leading hospitals for children and have been hand picked because they are experts in their fields. Educational testing, brain scans (QEEGs) and medication testing are available.